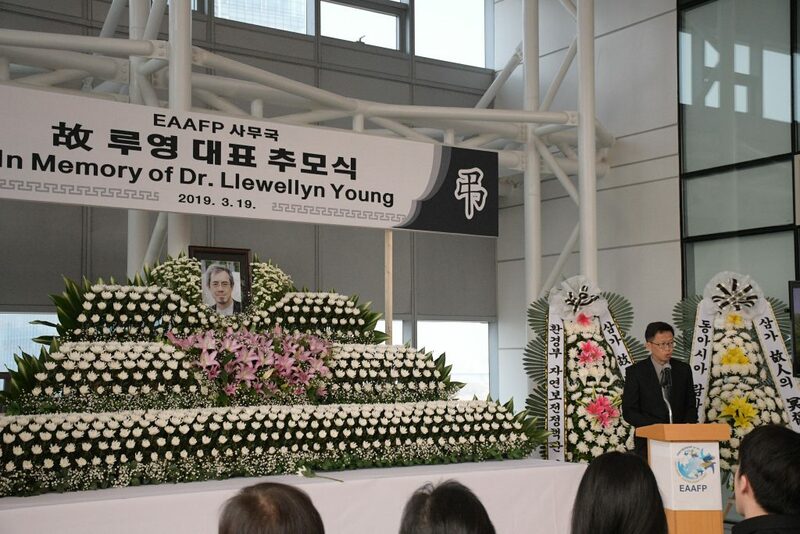 The memorial service to honor Dr. Lew Young, the Chief Executive of EAAFP Secretariat, was organized on Tuesday 19th March 2019 in Songdo G-Tower, Incheon, Republic of Korea at 14:00. 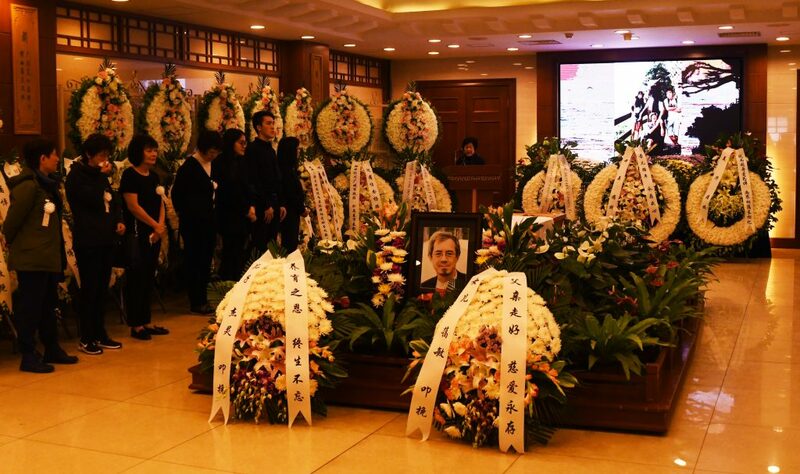 The funeral service for Lew was conducted in Beijing on the 11th March followed by the first memorial service in Hong Kong on the 12th March. 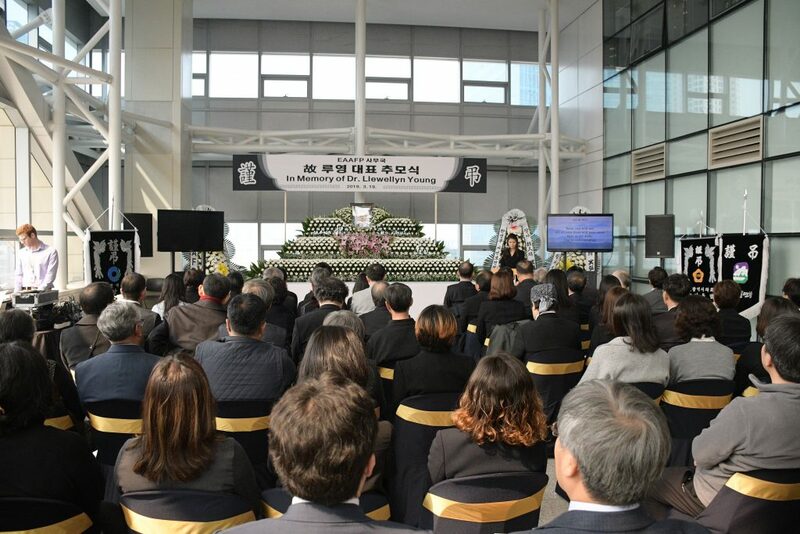 The last memorial service was organized in Songdo where Lew had worked as the head of EAAFP Secretariat since March 2018. 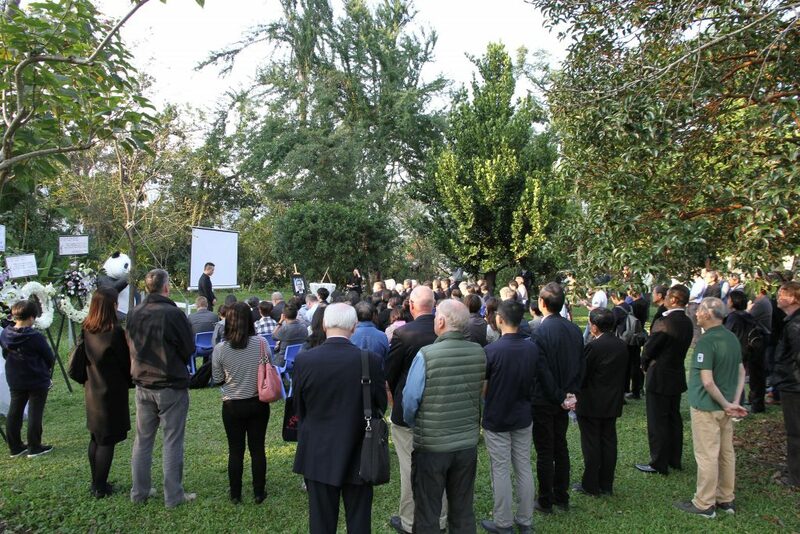 Representatives of international organizations, EAAF Partnership, government of the Republic of Korea, Civil Society Organizations, a number of colleagues and friends of Lew attended the memorial and sent flowers to pay tribute to Lew, a world-class conservationist whose work has greatly contributed to strengthening the conservation and management of wetlands and migratory birds across East Asia and Australasian Flyway. 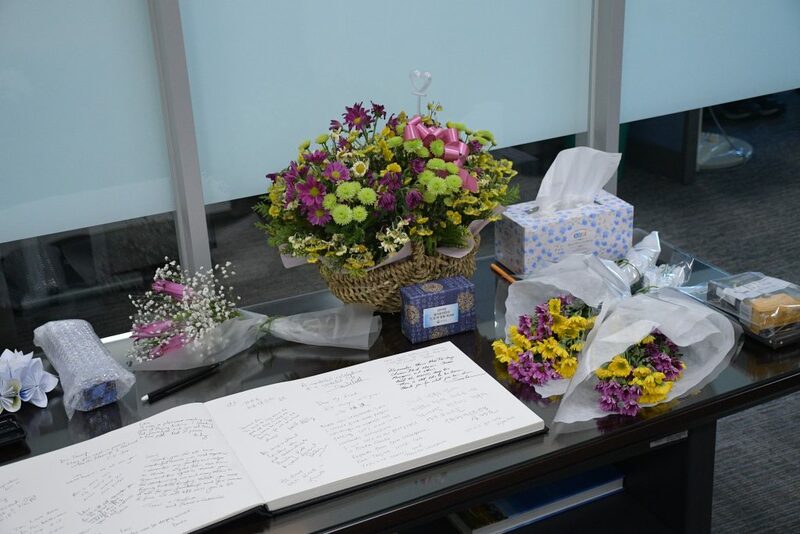 Mr. Nam-choon Park, Mayor of Incheon Metropolitan City, visited the memorial to extend his condolence to Lew’s family. Mr. Jinyong Kim, Commissioner of the Incheon Free Economic Zone, Mr. Sang Jin Park, Ambassador for International Relations, Incheon Metropolitan City, Dr. Ganbold Baasanjav Head, UN Economic and Social Commission for Asia and the Pacific, Mr. Kiyoung Ko, Director of UN Asian and Pacific Training Centre for Information and Communication Technology for Development, Mr. Chae Gun Chung, Head of United Nations Project Office on Governance, Mr. Yinfeng Guo, Chief Technical Advisor and Project Manager of YSLME Phase II, Mr. Yeonchul Yoo, Deputy Minister and Ambassador for Climate Change, Ministry of Foreign Affairs Korea were present as well. The memorial service began with the opening song “Into The West” in reflection of Lew’s life followed by a brief introduction of his career and life. The tribute messages were read by Mr. Joon Hee Lee, Director of Biodiversity Division, Ministry of Environment Korea, Mr. How Choon Beng, Vice Chair of EAAFP and Director of Singapore National Parks Board, Ms. Hyeseon Do, Programme Officer at EAAFP Secretariat, Ms. Ania Grobicki and Mr. Lifeng Li as Lew’s former colleagues at Ramsar Secretariat and WWF. 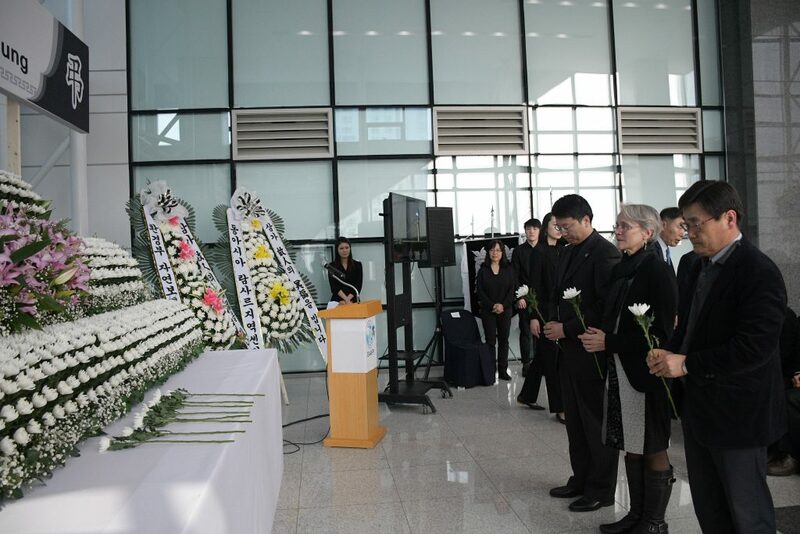 The final tribute was delivered by Dr. Kisup Lee on behalf of Korean NGOs. In response, Dr. Deborah Cha, the wife of Dr. Lew Young, delivered an appreciation message to the guests on behalf of Lew’s family. “Although he was only 60, he had achieved so much and made great influence on the area of wetland conservation and the protection of migratory birds. However no matter how busy he was, he would still ensure to spare some weekends with the family..” she said. She thanked for help and support from EAAFP Secretariat, EAAFP Science Unit in Beijing, WWF Hong Kong, IUCN, Korean Government and every guest coming to honor Lew. 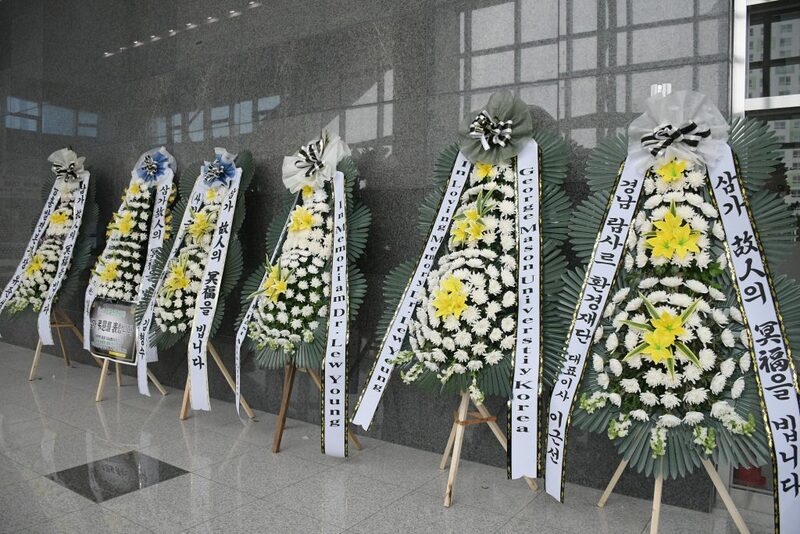 The memorial service was concluded with a flower-laying ceremony. Guests shared their condolences message with Lew’s family after the ceremony. 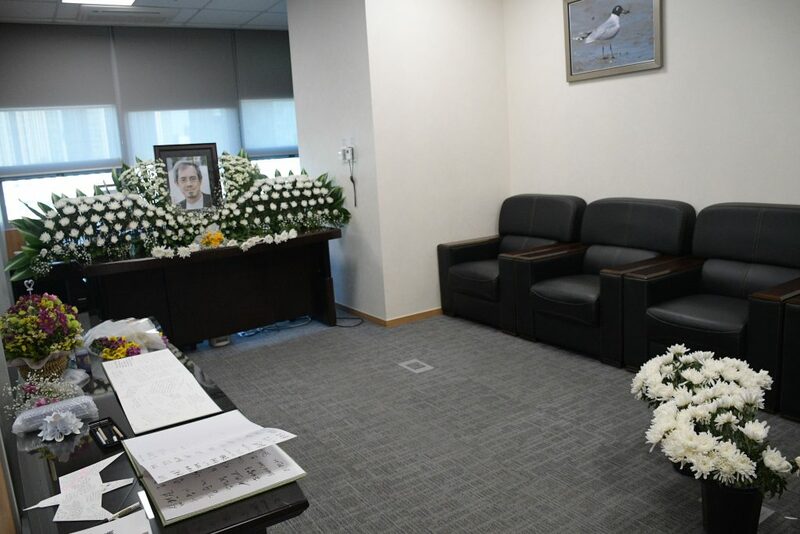 From 20th to 22nd March, the EAAFP Secretariat prepared a memorial space in Lew’s office in the EAAFP Secretariat at G-Tower for those who wanted to pay tribute after the official memorial. 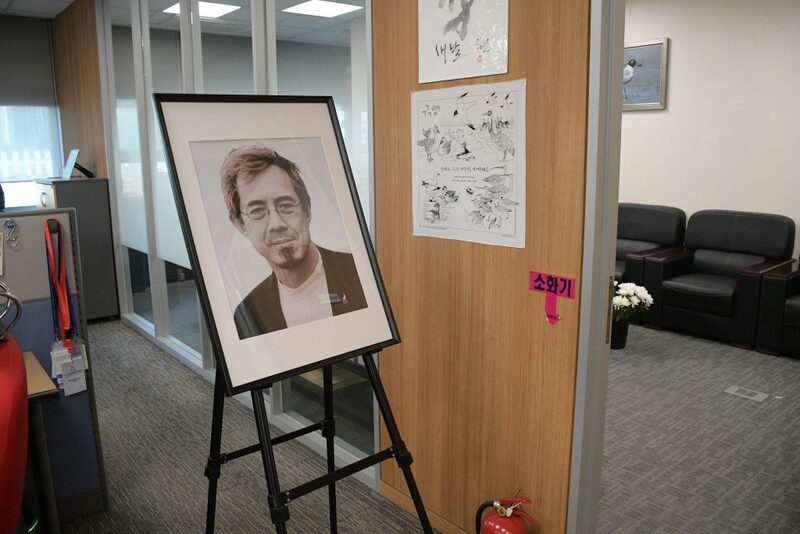 Many people including his friends, partners, and former colleagues have visited his office to pay tributes. They also left warm messages with flowers for Lew. 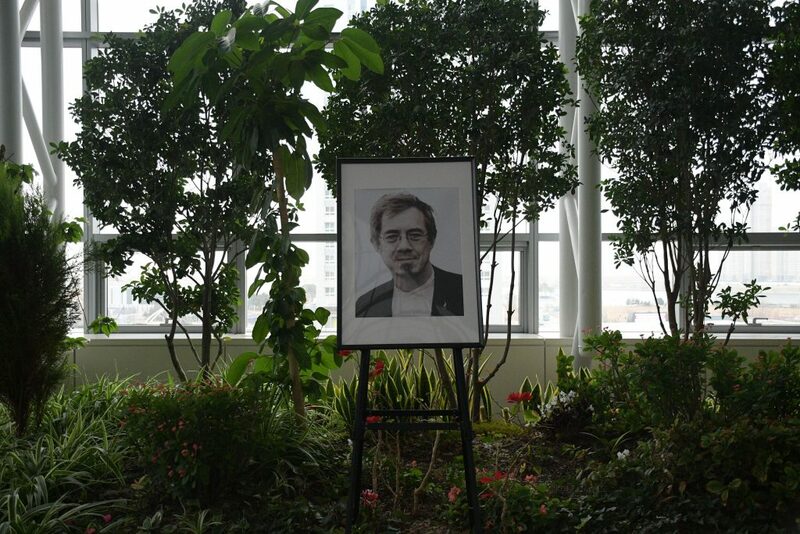 Although the memorial place has been closed, his legacy will remain with us and never be forgotten. *An online memorial page is available at https://www.forevermissed.com/lewyoung/. Please send your condolences message to Lew’s family at condolences.eaafp@gmail.com.